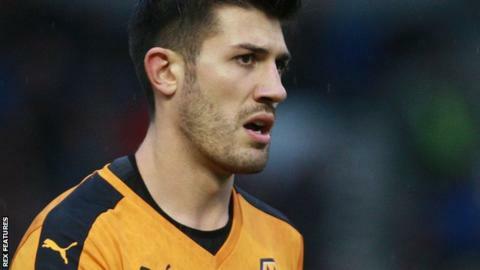 Wolves captain Danny Batth says the players take full responsibility for the Championship club's poor form but is hoping any disgruntled fans will stick by the team. Sections of the Molineux crowd vented their frustration at the club's board during Saturday's 2-1 defeat by Preston and booed at the final whistle. "I appreciate the fans' concerns," Batth, 25, told BBC WM 95.6. "They're all here for the right reasons - they want to see Wolves do well." Wolves' play-off push has faltered after a run of five games without a win, which has seen them drop 11 points away from the top six. "I don't think they are against the team - they wouldn't come if they didn't want us to play well," Batth added. "At the same time, we have to take responsibility and make sure we give them something to be proud of. "We try not to take too much notice of what goes on off the pitch - we try to focus on being ready to play." Wolves have been up for sale since owner Steve Morgan stepped down as chairman in September after eight years at the helm. That state of flux has continued, with the club struggling to mount a serious bid for promotion and star striker Benik Afobe sold to Bournemouth in January. "There are always ups and downs in the Championship, we're not playing the best football we have done - it's been a very tricky season for a lot of reasons," Batth said. "The players are more worried about what's happening on the pitch. If we could have beaten Preston, the fans would have been happier and we hope they stick with us. "When we have found some rhythm and consistency, we've lost key players. There has been a lot of transition with players understanding their role. "We're not playing without passion, it's just not clicking for us at times."